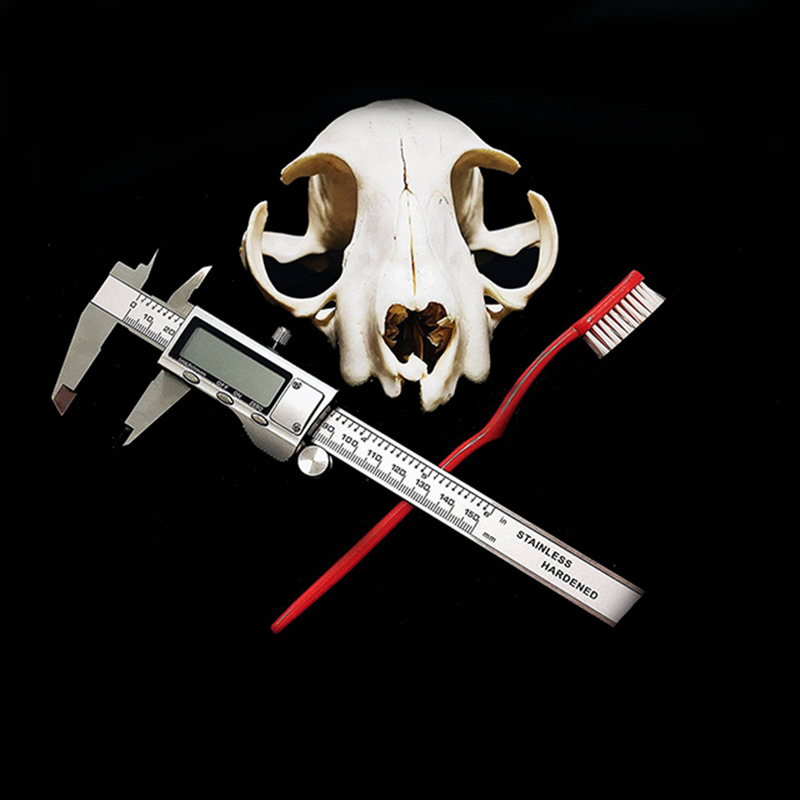 Ever wondered what animal bones can tell us about the past? Or wished you knew a bit more about the ancient lives of animals? If you ever had these very specific, niche thoughts, then do we have the podcast for you! Arnold Schwarzenegger famously (and half-jokingly) proclaimed that if you need more than 6 hours of sleep, you should sleep faster. Many successful people claim to sleep very little and use the extra time to be productive. But is this sound advise? 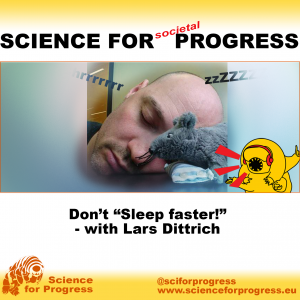 I talked with Dr. Lars Dittrich, neuroscientist and former sleep researcher, about sleep. Lars answer questions like What does sleep do? How is it regulated? What are the side-effects of acute and chronic sleep deprivation? How do I know if I sleep enough? How could sleep research inform policies and business practices? 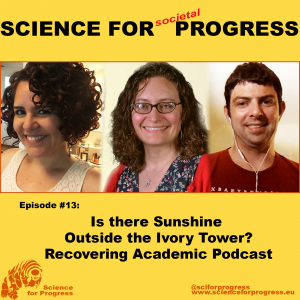 In this episode we talk about our experience with peer review and the importance of kindness and the advantages and disadvantages of the authors knowing the identity of peer reviewers. 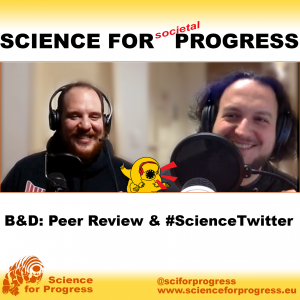 And in the second part we talk about how twitter can be a great place for science and scientists! While the number of PhD graduates per year is rising worldwide, the number of proper long-term or permanent positions in academia isn’t. This leaves PhDs with ever decreasing chances of staying in academia. And it means that increasing numbers PhDs stay postdocs for a decade or longer, only to have to leave after all. We are on Patreon! – and other announcements. In contrast to what was promised in the last podcast episode, we don’t have a full question and answer episode this time. I hope this will not happen too often, in future. I had an extended conversation with Diana Barbosa (@diraquel on Twitter) from the skeptical society in Portugal, COMCEPT. 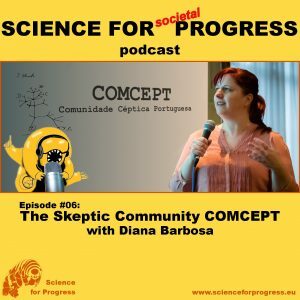 This is the first of two parts to this episode where Diana Barbosa answers questions about what skepticism is, what skepticism is NOT, and how it is different from other, related movements. We get an overview of the goals and activities of COMCEPT meetings, and how to become a member! Podcast and a Twitter rotating curation account! I proudly present our two new projects! 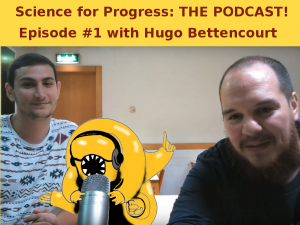 Hugo is a member of Science for Progress. He is currently working on his MSc thesis at the Champalimaud Foundation in Lisbon, Portugal. In 2017 he took part in the FameLab science communication contest. Here we talk about his experience. And we also started collecting people who are active on Twitter to contribute to our upcoming ‘rotating curation’ account @SfProcur . Such ‘rocur’ accounts feature a different curator every week. 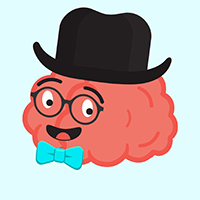 I am excited that despite the virtually absent followship of the account (starting is always difficult), people have responded very positively to my requests! So, please follow @SfProcur! Starting date is in March! 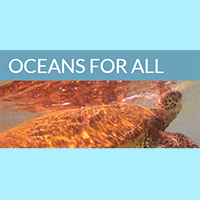 I hope you will enjoy our new projects!